The Nissan Pivo 2 was a continuation of the original Pivo concept from 2005. 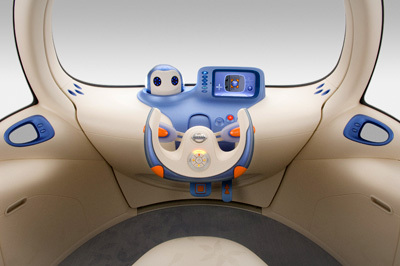 The concept appeared at the 2007 Tokyo Motor Show. 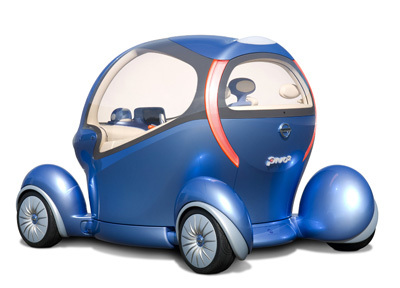 The Nissan Pivo 2 is an electric concept car powered by Lithium-ion Batteries driving all four wheels via in-wheel electric motors. However the Pivo 2's main party tricks are its unique rotating cabin, and wheels which can turn through 90 degrees allowing the Pivo 2 to drive sideways as well as forwards and back. 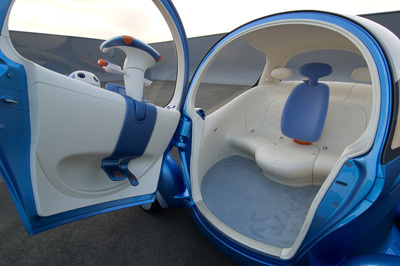 Inside, the Pivo 2 can hold up to three people, with the driver sitting in a central position. Access to the interior is via a single door mounted at the front of the vehicle which swings outwards taking the steering column, dash display, windscreen and built in robotic head with it. The robotic head is able to carry out several functions including carrying out conversations in either Japanese or English, accepting basic voice command activated requests, acting as a guide searching for parking spaces, and just generally providing the driver with a companion. Although for how long its companionship would be desired is another matter. 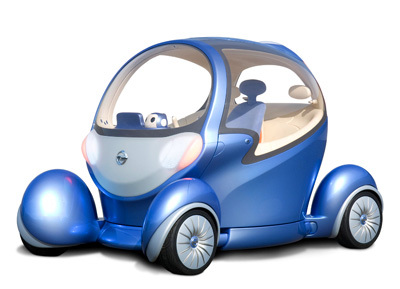 The Nissan Pivo 2 takes the idea of an environmentally friendly electric urban commuter vehicle into a new dimension, while at the same time it offers a fun and lighthearted option which hasn't been explored many times before.